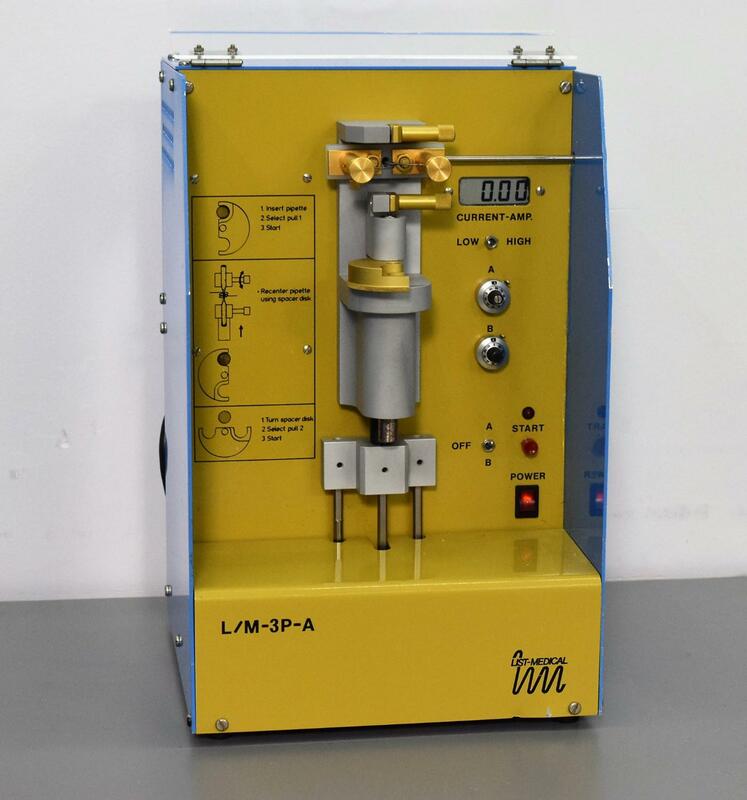 List Medical L/M-3P-A Vertical Pipette Puller Pipette to Micropipette Maker . New Life Scientific, Inc. This is a simple but elegant unit, easy to follow instructions on the front. There is a minor dent on lower front but that is it, this is a great piece of equipment. The List-Medical-Electronic L/M-3P-A Vertical Pipette Puller has a low and high current switch. There is A and B adjustable dial settings, and an A/B switch. There is a power switch, a start button and adjustable spacer disks. We realize that buying second-hand can be unnerving, so we offer a 90-Day Warranty on all of our working instruments to protect you against any equipment failure or defects. If anything goes wrong, our in-house support is only a phone call away.